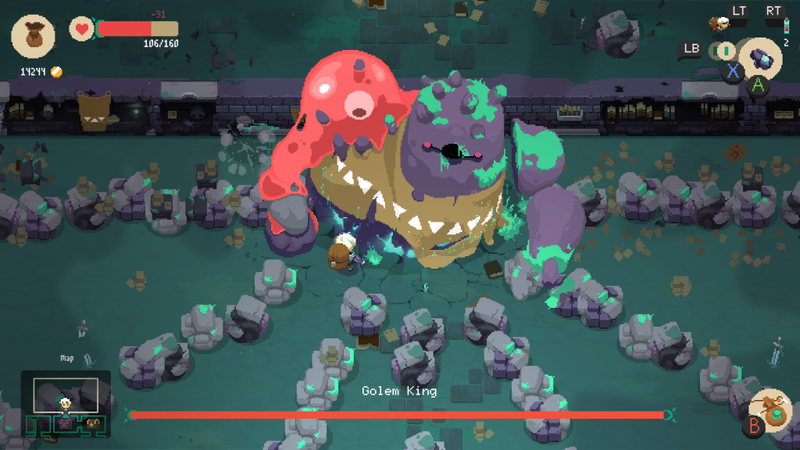 Moonlighter is a new take on an old style of a top-down dungeon crawling RPG (think Legend of Zelda: A Link to the past). You are the grandson of Pete the former owner of the shop “Moonlighter”. 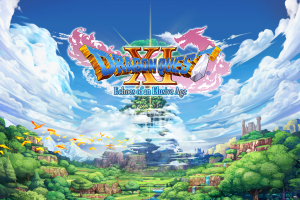 Your quest to save the world? No, your quest is to earn a living and keep the old shop open. 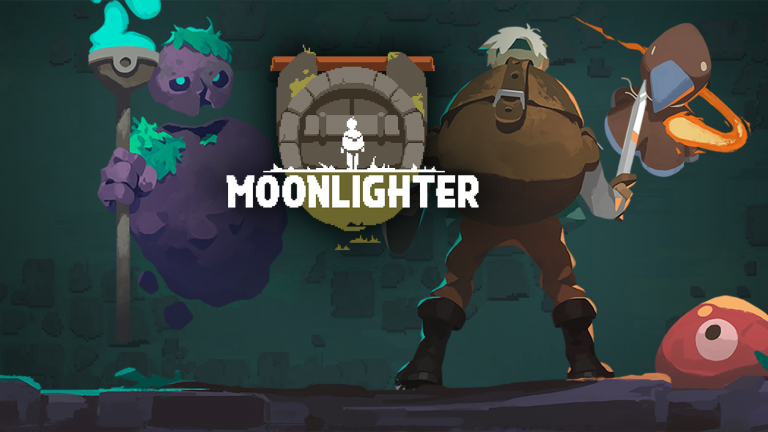 You are not a chosen hero, you’re a kid scouring dungeons for loot you can sell to restore and upgrade the Moonlighter to its former glory as it was back in your grandfather’s hay-day. However, along the way, you might just have what it takes to save the world too. As the games title and shops name suggests you’ll be moonlighting. That is to say, you need to manage your shop by day and explore the dungeons by night to find that great loot that might fetch a good price. 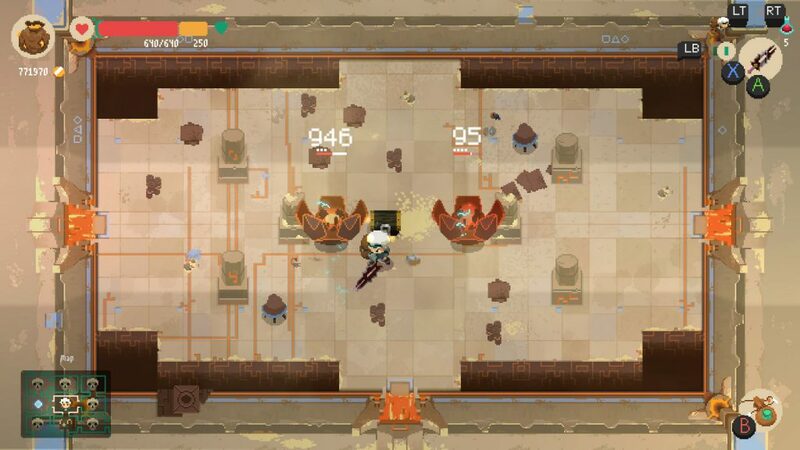 Moonlighter manages to be a new take on an old style without feeling lacking or clunky. Its pixel-art style works out really well when coupled with it’s slightly muted color pallet. Many modern pixel-art style games try to add a lot of bright opposing colors in a given sprite to try to exaggerate detail. 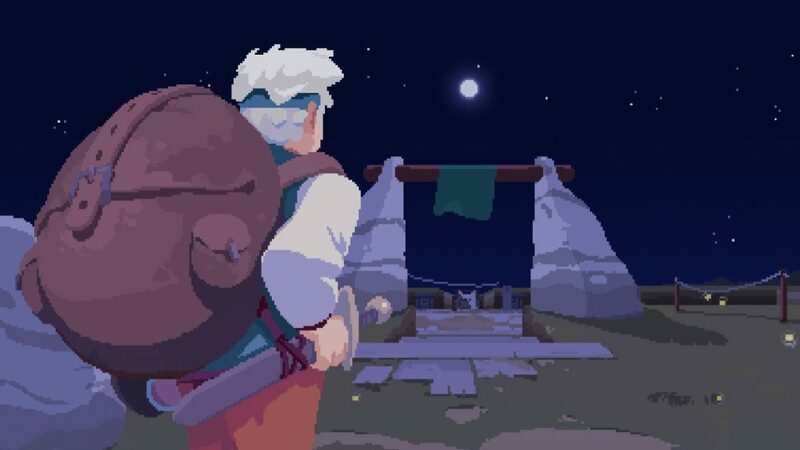 Moonlighter uses more on a softer palette of complementary colors which works to show the player the intended detail while also making the various sprites in the various levels and overworld a cohesive feel. Not only make you think “yes this sprite belongs to this dungeon but the sprite belongs to this game. The controls feel pretty decent although they did take a little while to get used to, for the first little bit it felt like there was input lag, as time went on I quickly became accustomed to it, be in input lag or battle mechanics it quickly became second nature to me by the time my second stream of the game rolled around I felt comfortable. Focusing on the shop, the game’s mechanics can be pretty deep. You’ll have to place items on your store shelves and give it your best guess as to a fair price for those items. Price too low and customers eyes will light up with visions of money as they buy the item. If you see this, odds are you’re getting ripped off and they made out like a bandit. On the other hand, if you price an item too high the customer might not buy it or if they do they will feel like you are the one ripping them off, and they will be less likely to purchase from you in the future. Of course when you find that sweet spot, its money in the bank, but don’t flood the market. If you flood the market demand for an item goes down and so too should its price, This aspect of the game really is the age-old tale of supply and demand. 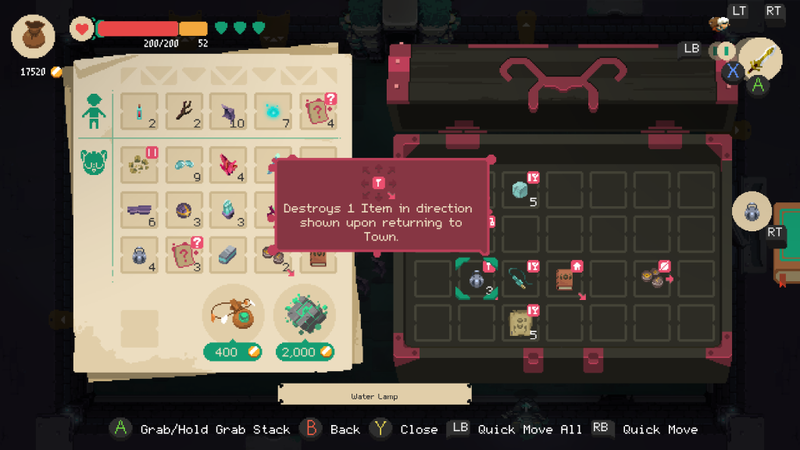 Also as you get more advanced, sell better loot and upgrade your shop, you’ll need to watch out for shoplifters. If you don’t stop them in the act it can cost you a lot of money, money that can take nights of dungeon crawling to make up. On the subject of dungeon crawling this is where you’ll spend at least half of your time. Dungeons are randomly generated every time your character enters them. Which begs the question, “if you’re not in the dungeon, does it even exist?” While the dungeons are built almost as if they want you to complete them and get their precious loot, the dungeon guards and monsters act as an obstacle, contrary to the feel of what the dungeon wants… I wonder who put them there. Battle mechanics as I mentioned earlier felt a little slow at first, I am still not sure if it was a matter of input lag or battle timing. My first few hours dungeon crawling was hard, but by the second time I streamed the game I had a solid feel for the timings and attack patterns that I could hold my own. Boss fights are more difficult but that is a matter of player ability. The dungeon bosses are huge have the ability to attack you anywhere in the play area, it comes down to patterns and player equipment to win over these colossal beings. Exiting a dungeon happens in one of 4 ways; die and lose everything; If you use the warp pendant (cost gold) it lets you exit the dungeon with the loot you’ve gotten; Warp stone (cost more gold) you get to leave the dungeon with your loot and you get to re-enter at the point you left from (whatever floor you were on); Or if you’re good, kill the boss and get to exit with your loot without having to pay gold to do so. When thieves steal (or attempt to steal) something you’ve stocked but never sold before, you’ll have to go through the process of repricing it. Luckily, if you’ve sold something before when you list it — it automatically takes on the last sale price you had. I am a Software Engineer and martial artist. I am also an avid gamer and technology enthusiast. 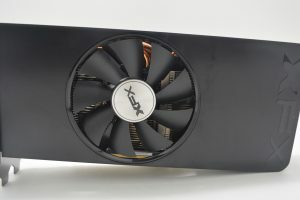 Be it playing the newest graphically "real to life" PC games or relaxing playing decades-old console games. Reviewing a sweet piece of tech or conceptualizing some obscure idea of "smart" life gear. I absolutely live and breath technology.